Since becoming a parent, I find that there’s not much in the world that sounds better to me than a completely dark and silent bedroom at night – but, perhaps not surprisingly, my kids have never felt the same way! A good night light goes a long way towards easing bedtime battles. My children would sleep with every light available blazing all night if I’d allow it, and so each night we battle over just how much light is needed. I know they don’t need to have a blazing lamp shining in their faces while they’re asleep, but they don’t like to turn them off and be plunged into darkness either. 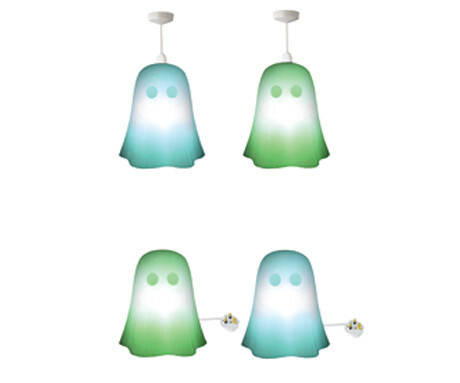 Enter a friendly (and energy-friendly) solution – the Kaspa Ghost Light Glow. 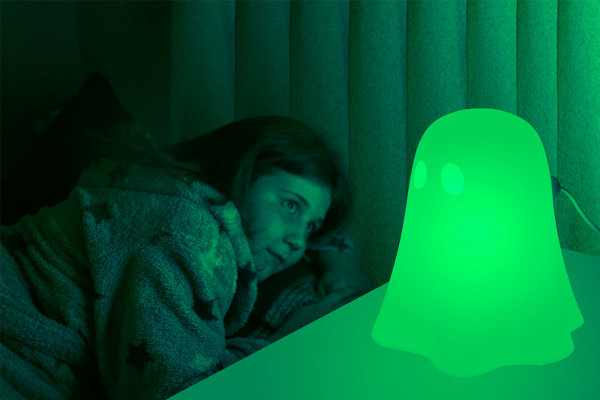 Designed by Ilsa Parry for Rethink things, it’s a night light which continues to emit a soft glow for twenty minutes after it’s been turned off. Eerie? No! We think, comforting – and with the right sell, your kids might too. The Kaspa night light is available as either a freestanding lamp, or as a ceiling hung pendant, and it comes in blue, green and white. You can buy one from Culture Label for £89, plus shipping.